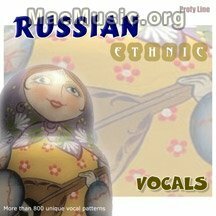 Russian Sounds Post a comment ? There was a little bug in the last version of OUTI (v 1.31), now fixed in version 1.32. Now, instead of being limited to 10 seconds for the buffer size, you can set whatever buffer size you like, ideal for adjusting to your amount of RAM. OUTI on MacMusic Soft Post a comment ? Jasmine Audio announced today the newest release of their Macintosh-based audio editor, Jasmine Audio 1.8. The newest release has been rewritten for OS X. As such, Jasmine now has a new Mac OS X interface, a flexible and robust import and export feature, help tags, bug fixes and more. Version 1.8 now allows for support of multiple file formats including MP4/AAC, WAV, AIFF, AVI, 3GPP, System 7, µLaw, and several QuickTime formats. This feature allows for changes in sampling frequency (up to 48 kHz), bit depth, stereo interlacing, and common compression/streaming protocols. The $30 application is free for 14 days. Jasmine on MacMusic Soft Post a comment ? 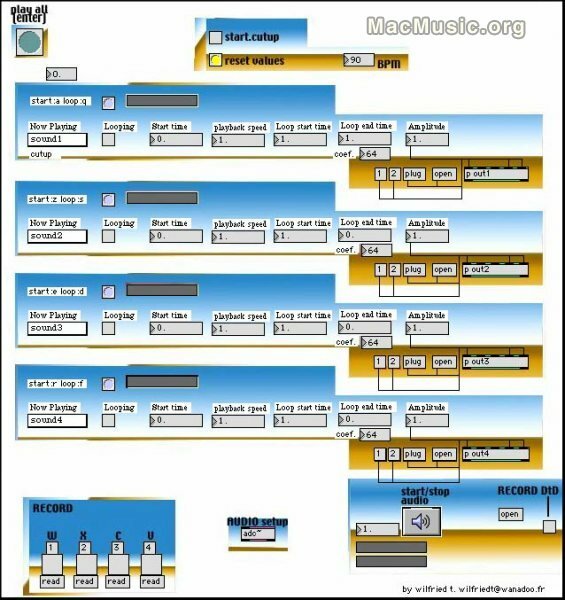 It's possible to broadcast your music on the web with NiceCast by Rogue Amoeba, an easy to use audio streaming solution for Mac OS X. This software enables broadcasts from your iTunes library and includes audio effects, a built-in streaming server, broadcast archiving, and voice over. This new version 1.5 supports Live365.com accounts, broadcasts iTunes crossfades and supports Icecast2 servers. NiceCast 1.0 is EUR40 shareware.This 1.5 update is free. 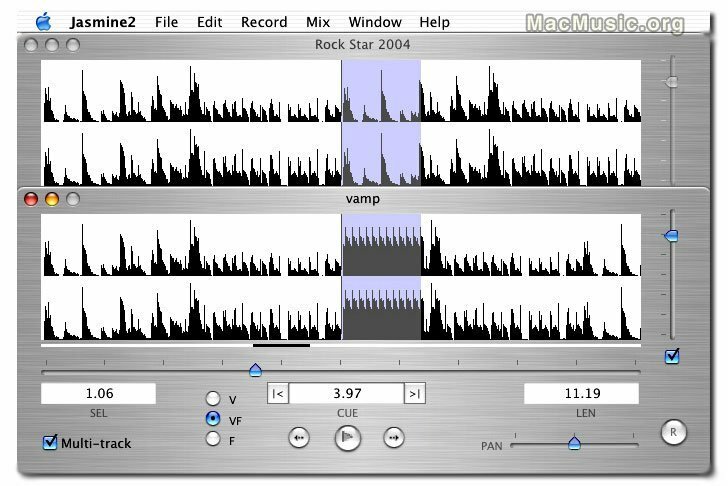 MTSoftware has posted free VST software for Mac OS X: HostX, a VSTi host application; TsampX, a standalone sampler for OS X; and TdrumX, a standalone drum machine). A spectral filter patch for Max/MSP, "Turn to FFT" is also available for download.